A mother who gambled away more than £100,000 stolen from a fund set up to pay for her son's cancer treatment has been given a suspended sentence. Leeds United fan Toby Nye, who had high-risk neuroblastoma, died in January just days after his sixth birthday. 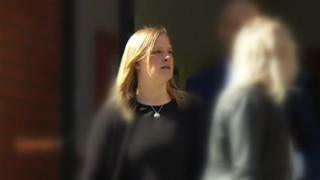 His mother, Stacey Worsley, admitted fraud at a previous Leeds Crown Court hearing. The 32-year-old was given a two-year jail term suspended for two years. The judge told Worsley: "You became overwhelmed by the situation in which you found yourself. "No-one could fail to be moved by your story. "You were under enormous pressure and I have no doubt that all of this started as a result of you wanting to raise the money for his treatment." Worsley racked up £140,000 in gambling debts but the judge noted she had not spent any of the money on "luxuries" for herself. He said the money had been recovered from the online gambling companies and would be given back to major donors and other charities. Nicholas De La Poer, defending Worsley, said her gambling "became a compulsive distraction from the horrors of the situation". West Yorkshire Police previously said Toby's medical treatment was not affected by the fraud. Toby, from Osmondthorpe, Leeds, became ill at Christmas 2016 and on his fourth birthday in January 2017, his family were told he had a stage four neuroblastoma tumour. Worsley had pleaded guilty to one charge of committing fraud by false representation.